Can one live in a home without appliances? Think about it - refrigerators keep our food fresh, water heaters keep our showers hot, and washers keep our clothes clean. Air conditioners, dryers, ranges, dishwashers, dehumidifiers and freezers are all convenient, time and labor saving appliances we’ve come to depend on. Fortunately, these appliances are not solid waste problems and it’s unlikely that we’ll ever have to worry about having homes without appliances. All appliances are made with steel and are recyclable. Despite the fact that appliances are bulky and contain various electrical and mechanical parts, they are almost as easy to recycle as steel cans. Many communities have established temporary or permanent collection programs to ensure that appliances do not enter the municipal solid waste stream. In addition, a network of ferrous scrap processors, shredders and steel mills processes and recycles appliances. Since 1990, the national recycling rate for major home appliances as risen from 32 percent to 62 percent due in part to increased private and public sector awareness and the continuing development of a strong infrastructure for recovery of ferrous scrap from appliances. More than 1.6 million tons of steel was recovered from recycled appliances in 1993. By weight, the typical appliance consists of about 75 percent steel, which is largely why 1,600 scrap processors across the country accept them for recycling. Processors typically remove components, such as electric motors, switches and other mechanical parts, from the appliances before recycling. If the appliance contains refrigeration or cooling equipment, refrigerant gases must be captured and recycled. Motors and capacitors are also appropriately handled. Once dismantled, appliance shells are hoisted onto a conveyor belt, which feeds the appliances to a shredder. Shredded steel is magnetically separated from any remaining material and conveyed into a rail car or truck for shipment to steel mills and foundries. 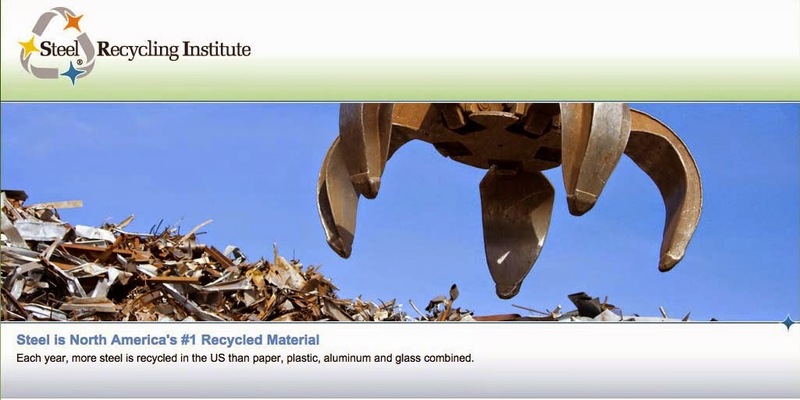 Nonferrous metals, such as copper and aluminum, are sometimes also removed and recycled. The remaining material, referred to as fluff, is accumulated for disposal at landfill or other disposition, such as resource recovery combustion. A piece of legislation enacted more than 20 years ago has significantly altered the way appliances are processed today. Originally passed in 1970, the Clean Air Act was America’s first comprehensive legislation to cover emission of pollutants to the air. The act was later updated to reflect the goals of the 1987 Montreal Protocol on Substances that Deplete the Ozone Layer. This international agreement was signed by more than 100 nations and requires each country to cut its production of ozone depleting substances in half by 1998. Later, the Protocol was amended to include the complete phaseout of the production of chlorofluorocarbons (CFCs) by the year 1995. As a result, the United States Environmental Protection Agency (EPA) has mandated that, prior to recycling or disposal, any refrigerant gases that are deemed as ozone depleting and found in appliances must be captured for recycling. CFCs and hydrochlorofluorocarbons (HCFCs), both considered ozone-depleting coolants, are only found in appliances designed to refrigerate or cool. The CFCs and HCFCs that are reclaimed are cleaned and reused in the maintenance and repair of other units. In some areas, scrap dealers have the CFC removal equipment and certified technicians for these procedures. In other areas, specialty business and scrap dealers provide this service, either independently, or in association with appliance dealers or the local government. Appliances often contain capacitors, which are electronic circuit devices for temporary storage of electrical energy. Polychlorinated biphenyls (PCBs), a carcinogen, are oily fluids used as electrolytic substances in a small percentage of capacitors produced prior to the year 1979. PCBs were used in some capacitors for air conditioners and microwave ovens and, much less often, for refrigerators and freezers. The Toxic Substances Control Act of 1968 banned the production and sale of PCBs after 1978 but allowed small capacitors used in household appliances to remain in service. Since the average life span of an appliance is 15 years, less than five percent of all appliances processed for recycling in 1988 contained PCB capacitors, according to the EPA. That small percentage is in all likelihood smaller today as many of these appliances have been disposed of or recycled. As of 1994, to avoid future disposal of appliances in landfills, 19 states banned or planned to ban appliances from landfills. The states initiated the bans in order to extend the life of their landfills and to encourage private industry and the public sector to implement recycling of appliances. The following states have instituted landfill bans on white goods or have made related appliance rulings: California, Colorado, Florida, Hawaii, Illinois, Iowa, Louisiana, Maine, Massachusetts, Minnesota, Mississippi, Missouri, Montana, Nebraska, New Hampshire, New Mexico, North Carolina, North Dakota, Oregon, Rhode Island, South Carolina, South Dakota, Tennessee, Vermont and Wisconsin. (1) Identify a planning committee. A committee might consist of local government, waste haulers, ferrous scrap processors, electric utilities and interested community groups. (2) Identify a scrap dealer and equipment company to handle and process appliances. If you need help locating either, contact the SRI. (3) Select the date, time and location for the event. Recommended lead time is at least six months. (4) Coordinate public awareness. A catchy title (like “Heavy Metal Recycling”) will attract more attention, both from the public and the media. Be sure to send press releases to the media and informational fliers to residents. Consider asking a local utility company to send fliers in monthly bills. (5) Educate residents about permanent recycling opportunities. To ensure that residents continue to recycle appliances, be sure to promote local companies that regularly collect, process and recycle appliances. When residents know where to take their appliances, they are less likely to dispose of them improperly.